UX designers today can piece together several frameworks and have a new website or app up and running in a matter of days-as long as everyone on the project has the same vision, that is. Implementing a product is no longer a problem, but collaboration often is. This practical guide provides tools and activities to facilitate collaborative design on UX design teams. Author Austin Govella, an Experience Director with Avanade Digital, introduces a series structured activities to help teams develop good collaboration habits. Along with incorporating a set of soft skills, your team will learn how to hack the structure of your design process and working sessions in order to facilitate better design collaboration. 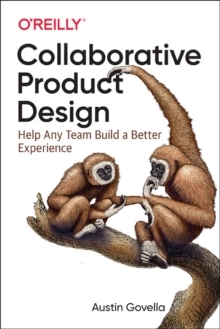 This book gives you the tools you need successfully collaborate on design with any kind of team in any kind of organization.